Adrian Owen has spent the last 20 years pioneering breakthroughs in cognitive neuroscience. His work has been published in prestigious journals such as The Lancet, Nature, Science and The New England Journal of Medicine. Before assuming his Canada Excellence Research Chair at Western University, Owen was a senior scientist and assistant director of the Medical Research Council’s Cognition and Brain Sciences Unit in Cambridge, United Kingdom. 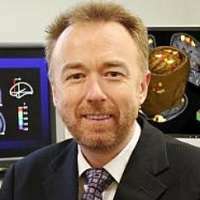 His work there, and at the Wolfson Brain Imaging Centre at the University of Cambridge, used functional neuroimaging to explore attention, memory and control in brain‑injured and healthy volunteers. Owen received his PhD in neuroscience from the Institute of Psychiatry, King’s College London, England, and his B.Sc. in psychology from University College London, University of London.